Now, is the modular market big enough to sell the majority of BeatSteps Pro? Probably not. But the agnostic design approach here makes this a multitasker tool in every kitchen, and so word of mouth spreads. So, keyboards. Native Instruments, love them or hate them, have had a pretty big hit with the Komplete Kontrol line, partly because they do less. They’re elegant looking, they’re not overcrowded, and their encoders let you access not only NI’s software, but lots of other plug-ins via the NKS format. But the KeyLab MKII looks like it could fit a different niche, by connecting easily to hardware and DAWs. Backlit pads. 4×4 pads (with velocity and continuous pressure – good), which can also be assigned to chords in case finger drumming isn’t what you had in mind. DAW control. A lot of people record/edit while playing in parts on the keyboard. So here’s your DAW control layout with some handy shortcut buttons. Faders/mixing. You get 9 faders with 9 rotaries – so that can be 8 channels plus a master fader. There are assignable buttons underneath those. Pitch and mod wheels. Dear Arturia: thank you for not being innovative here, as wheels are what many people prefer. And a big navigator. This bit lets you pull up existing presets. Okay, none of that is all that exciting – we’ve literally seen exactly this set of features before. But Arturia have pulled it together in some nice ways, like adding a dedicated switch to move into chord mode, letting you change MIDI channel with a button on the front panel (hello, hardware owners), and even thoughtfully including not only those shortcut keys for DAWs, but a magnetic overlay to access them. 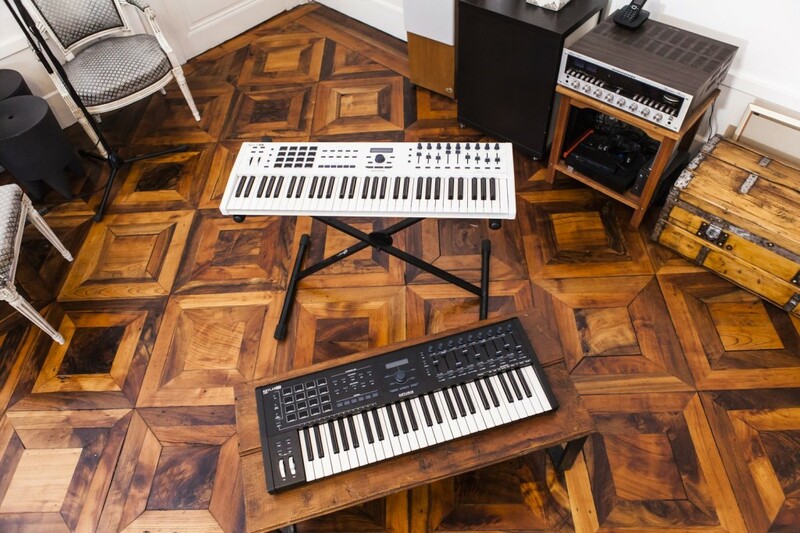 Still, keyboards from Nektar and M-Audio, to name just two, cover similar ground. So where Arturia set themselves apart is connectivity. Class-compliant USB MIDI operation. No drivers mean you can pair this with anything, including iOS and Android and Linux (including Raspberry Pi). Control Voltage. 4 CV/Gate outputs, controlling pitch, gate, and modulation. Yes, four. Also one CV input. Pedals. Expression, sustain, and 3 assignable auxiliary pedal inputs. Software integration. This is obviously a winner if you’re into Arturia’s Analog Collection library, which has gone from varied and pretty okay to really, really great as it’s matured. And since there are so many instruments, having this hardware to navigate them is a godsend. There’s also the obligatory software bundle to sweeten the pot, but I suspect the real draw here is out-of-box compatibility with the DAW of your choice – including Pro Tools, Logic Pro X, FL Studio, Bitwig, Cubase, Ableton Live, Digital Performer, and Studio One. Made of metal. Okay, not the keys. (That’d be awesome, if… wrong.) But the chassis is aluminum, and the wheels are event metal. There’s a pretty nice piano and a bunch of analog presets built in here, making this a good deal. 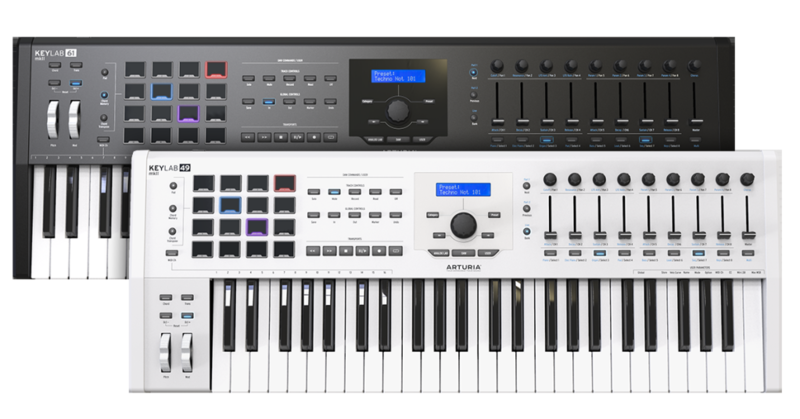 I think if your workflow isn’t tied to Native Instruments software and plug-ins, the connectivity and standalone operation here could make the Arturia the one to beat. 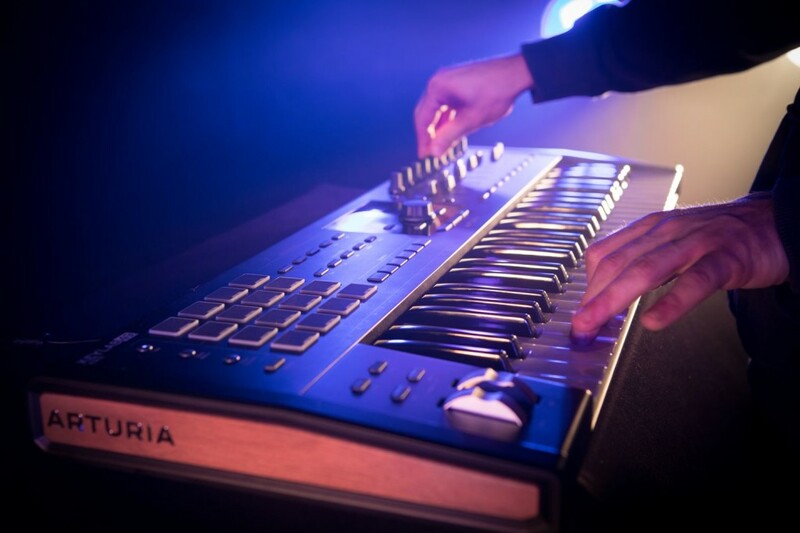 The thing to check, obviously, is hardware and build quality, though note that Arturia say the keybed at least is what’s found on the Brute line. There are 49- and 61- key variations, and they come in either black or white, so you can, you know, coordinate with your studio and tastes.